Haynes Family: New York City!! We recently were able to tag along with Dan on a buisness trip to New Jersey. I was so excited since I've been wanting to go to NYC for so long. A huge bonus was being able to visit Margie and her family since they now live in Calcium, NY. They came down and joined us on all the touristy things as well. It was so fun being able to see things like the Yankee Stadium, Time Square, Rockefeller Center, Madison Square Garden, Statue of Liberty, Empire State Building, Central Park, the list could go on forever. 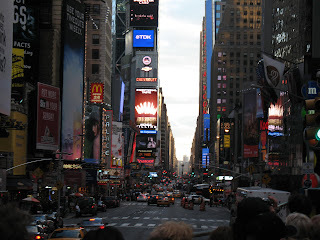 It was such an amazing, crazy city. I wanted to post some pictures of our trip for everyone to see. I loved it and hope we are able to go back again sometime. How Fun! All your pictures look great. Looks like you guys had a great time!!! 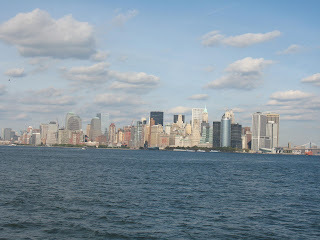 I'd LOVE to go to NY sometime. So, did you buy a "I heart NY" shirt? hehe (I would have! lol). Anyway, I miss you! We'll be down for Thanksgiving and Christmas so hopefully we'll catch up then. How fun is right! I love all the pictures you took on your trip!! It looks like you guys had a blast. I'm glad you got to go and have a fun family trip. Your girls are getting so big. Seriously, we need to do a get together! Excuse me!?! You came to NYC and Didn't tell me!?!?!! You do know I live like right here!! !